If perfect moderate temperatures and a sea of outdoor entertainment is what you are seeking, then San Diego should be your next stop. And to make your stay even more enjoyable, I’ve got a complete guide filled with dairy-free friendly San Diego restaurants, SeaWorld and LegoLand tips, vegan food events, recommended grocery stores, suggested lodging, and even more things to do. Photo from Native Foods Cafe. Jump to the beginning of any section in this post by clicking the link below! For ease of navigation, you will see more “jump to” links at the end of each section in this post. 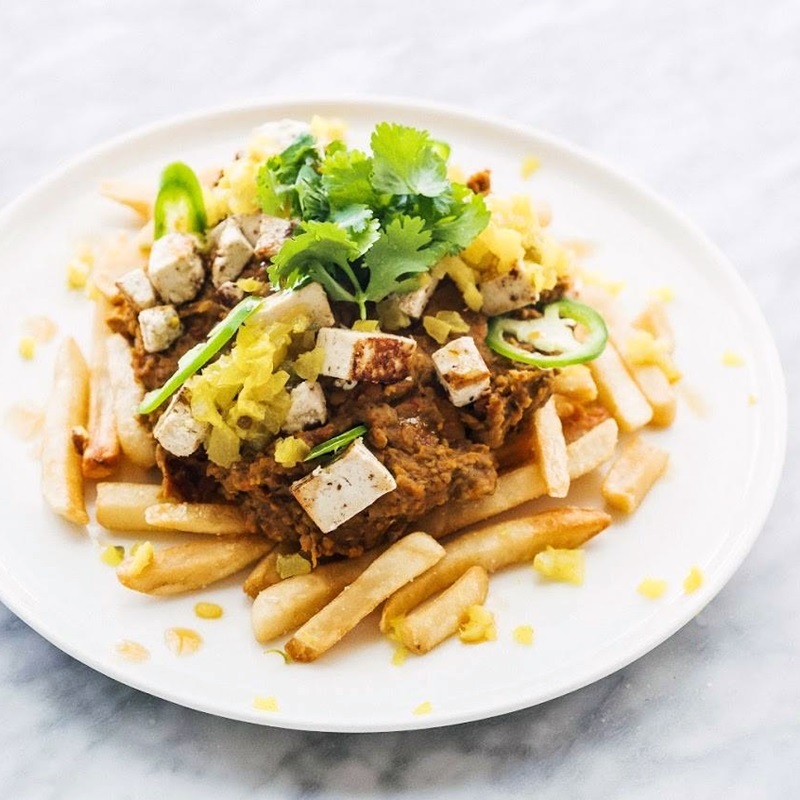 This youthful city has a burgeoning vegan food scene, and down nearly every street you can find wonderful Asian dining options. Ramen houses, sushi spots, build-your-own poke bowls, and casual pho restaurants dot the neighborhoods with an abundance of naturally dairy-free food. For other types of cuisine, vegan-friendly eateries are slowly emerging. 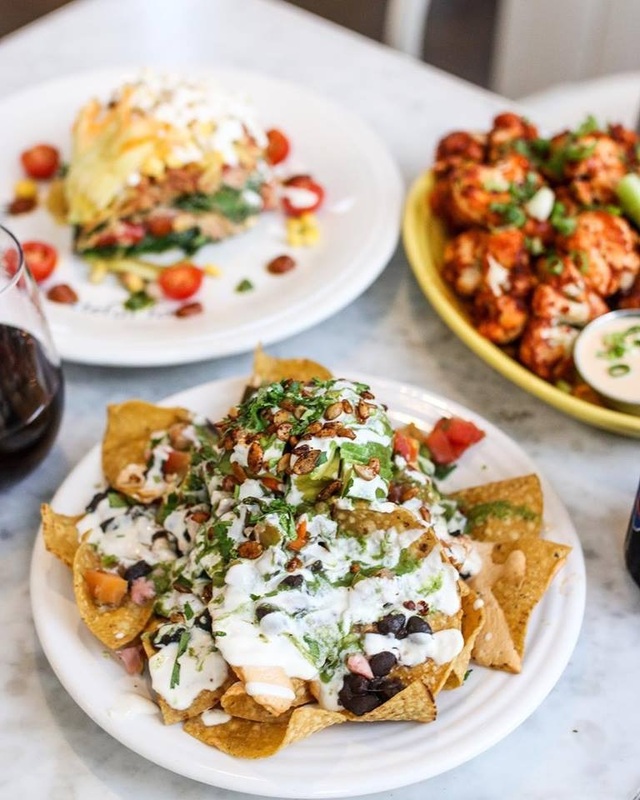 As you will see in our recommended list below, more than a few small vegan chains now call San Diego home. And their rather large Italian food scene is also becoming hip to the need for dairy-free cheese and vegan meat alternatives. We were also impressed with the many juice and smoothie shops that seemed to focus on dairy-free “milks” and acai bowls. Like most cities, we did face some dairy-free challenges in San Diego. There were limited to no dairy-free options on many menus, and staff mishaps did happen. At one touristy spot, we were served food covered in sour cream as the server said, “here you go, no butter and no dairy.” If dining on the fly, I recommend going Asian, or simply consult this list of San Diego restaurants for the top dairy-free and vegan spots. These San Diego restaurants go above and beyond to cater to dairy-free or vegan diners, and they are well-rated for friendly service and good food. I’ve listed the “local” options first, which are restaurants you can only find in San Diego or Southern California. They are alphabetical, and I’ve referenced the neighborhoods for easier planning. After the regional list, I’ve included fantastic national chains for dairy-free eats that you can find in San Diego. Those link up to separate posts with more dairy-free information for you! 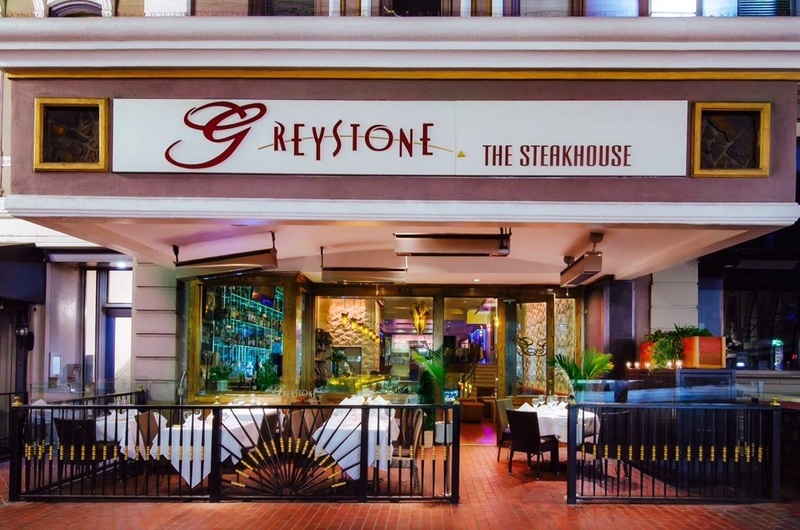 We originally found this restaurant because it was rated #1 on TripAdvisor for ALL restaurants in San Diego. 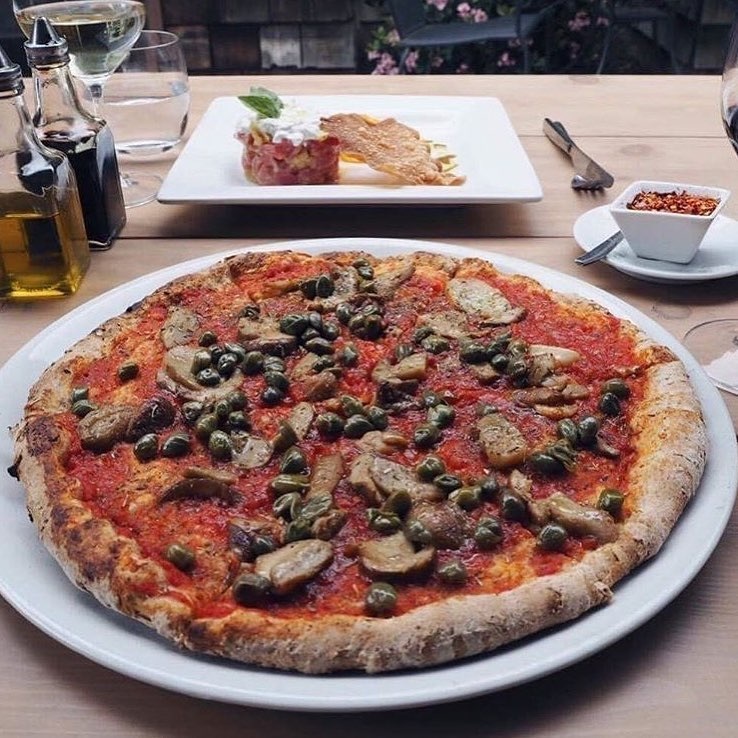 Ambrogio15 tosses authentic Milan-style pizza on paper-thin crust, made from imported organic flour. The vegan pizza on their menu is cheeseless (pictured above), because it’s that good. So they shouldn’t look at you funny if you order another pizza with dairy-free toppings sans cheese. However, they do offer vegan mozzarella at both locations for cheesy cravings. 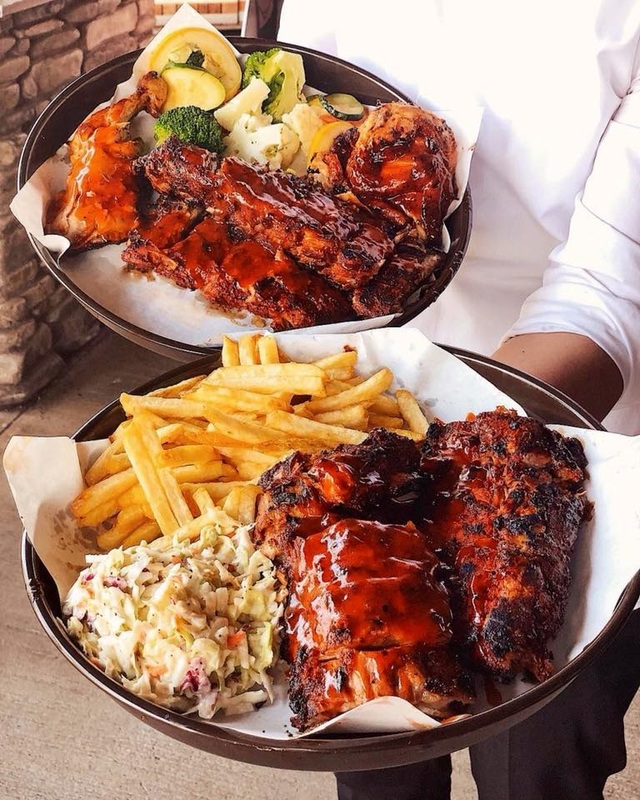 This is an all-vegan comfort food diner serving an impressive range of home-style breakfasts, meaty burgers, hearty sandwiches, Mexican dishes, wholesome bowls, and more. They have gluten-free labels on their menu, but the options are modest. You can find Anthem Vegan with a “limited menu” (it’s still pretty big!) at the Ocean Beach, SDSU, and Hillcrest farmers’ markets. They also bottle and sell several of their sauces, including vegan 100,000 Island Dressing (not a typo! ), Sriracha Ranch Dressing, and Wasabi Mayo. Situated near the Montgomery-Gibbs Executive Airport, this local, fresh, organic-focused restaurant also strives to be allergy-friendly. They have a big menu of soups, salads, sandwiches, bowls, breakfasts, and coffee drinks, with ample paleo, vegan, and gluten-free options. 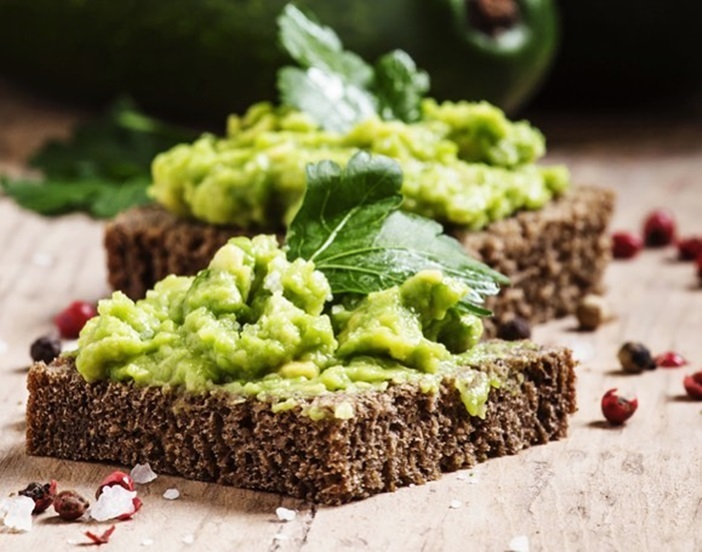 They also serve gluten-free bread for no extra charge, have vegan pesto, offer paleo coconut wraps, and even make their own dairy-free cashew milk daily (hemp milk and almond milk are available too). And they usually have dairy-free and vegan desserts available. The cuisine at this trendy cafe is Mediterranean with a from-scratch, farm-to-table spin. Vegan, vegetarian, and gluten-free options are labeled on the menu, and there is a good smattering for each type of diner. They even have a vegan option or two on their happy hour menu. But I wouldn’t count on many options for breakfast. Their morning menu is heavy on cheese, milk, and cream. Cafe Gratitude started in Southern California, but is methodically expanding to other states. It is a completely plant-based restaurant, so everything on the menu is dairy-free and vegan. This includes internationally-inspired bowls, sandwiches and wraps, and even comfort cuisine like lasagna and enchiladas. They also have a beloved dessert menu. It isn’t often that you find an Italian restaurant with a complete vegan menu. Vegetables, creamy sauces, and dairy-free cheeses take center stage with ravioli, gnocchi, and lasagna among the options. They even have vegan desserts that go beyond sorbetto! Additional menu items can be made “just” dairy-free and they clearly label gluten-free items on the menu. At last, a San Diego restaurant that labels dairy-free right on the menu! This restaurant serves traditional cuisine from northern Italy, right down to the homemade pasta. And they do have quite a few dairy-free options, along with many gluten-free and vegetarian dishes. If you head east of San Diego, you can find their second location in La Mesa. They pour very popular coffee, and can serve it with your choice of oat milk, almond milk, or soymilk. They even have kombucha and kefir soda for beverage alternatives. But the really draw here is their alter-ego, Skinny Donuts Craft Vegan Donut Company. Order up one, or two, to enjoy with your fresh brew. This 100% vegan restaurant serves comfort food with Italian flare. The menu includes healthier options for ravioli, mac ‘n cheese, and Caesar salads. And they have a big menu of pizzas with an array of dairy-free cheeses, vegan meats, and unique toppings. You can also lounge on their spacious patio with herb garden while sipping on house kombucha or beer. 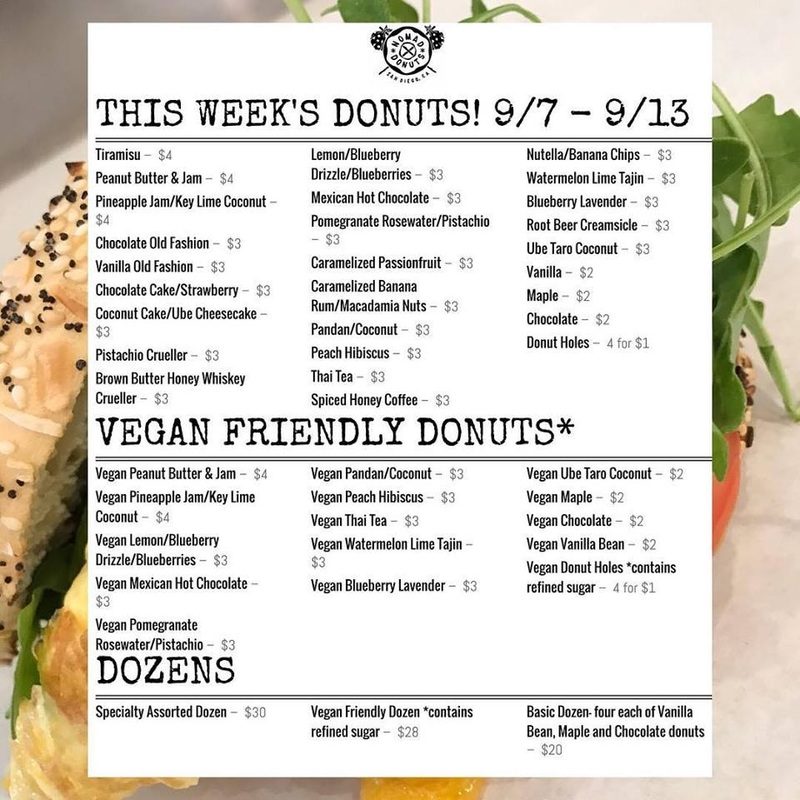 This is a local bagel and donut shop makes both vegan and non-vegan donuts in very inspired flavors. 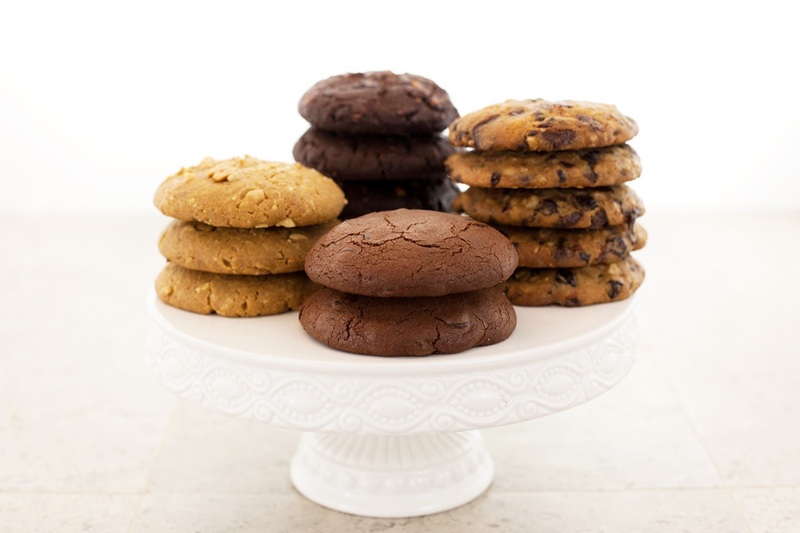 The vegan varieties change with each baking cycle, but usually include some raised, cake, filled, and fritter options. If it’s a bagel day, you can choose between hummus, vegan cream cheese, or vegan butter as your spread. Their dessert menu is modest for dairy-free diners, but we’ve heard that the vegan olive oil almond torte is worth it. They also reportedly offer vegan chocolate truffles. Their savory menu is also labeled for vegan and gluten-free options. The vegan selection includes crispy quinoa fritters, and vegan options for the panini, sea salted potatoes, and a few salads. 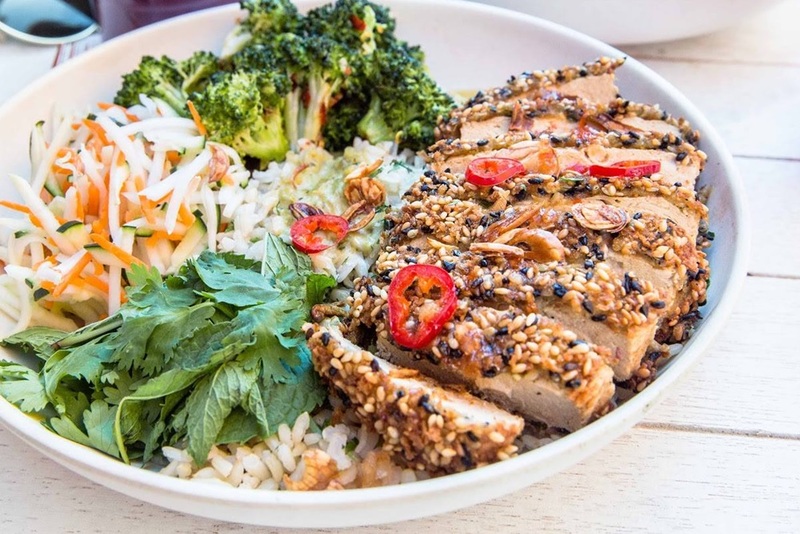 This small, Southern California chain specializes in cool, creamy superfood bowls. Almost their entire menu is dairy free (they do offer whey protein) and vegan (they have honey and bee pollen as options). You start with a base of acai, acerola, pitaya, or graviola (I may or may not know what all of these are!). Then you get to mix in your liquid of choice – all are dairy free. 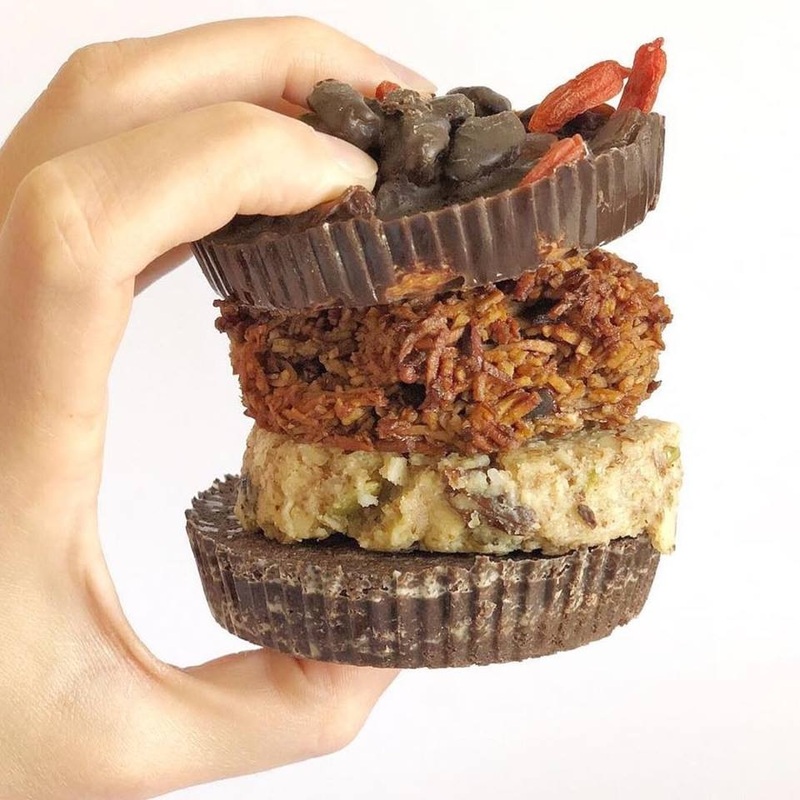 There is also an array of toppings and mix-ins to choose from, including things like hemp protein, maca, almond butter, ginger, blueberries, and … I could go on. There’s no guessing with the Evolution menu. Everything from the three types of burger patties to the “chicken” tenders to the milkshakes is completely dairy-free and vegan. They have a surprisingly big menu of healthier sandwiches, Mexican food, and sweets with lots of raw food options too. Evolution also has an array of house-made desserts and they bake custom cakes. They have a smattering of vegan options labeled on their menus, and quite a few gluten-free choices. Some additional items can be enjoyed dairy-free if you speak with your server about the options. As for dessert, their Decadent Yogi cake is available vegan, and they bake vegan cookies (some gluten-free). We’ve also heard that they make vegan hot fudge sundaes with coconut ice cream. And spotted some dairy-free options on the menu, like the Cocadas (contain eggs). It is a chain, but you’ll only find this pizza and wings restaurant in Southern California. They use house-made ingredients, shun deep frying, and offer many gluten-free, dairy-free, and vegan options. You can order a thin crust or deep dish pizza with Daiya dairy-free cheese, and vegan “Impossible” meat, if you wish. They also have popular vegan tenders, which reportedly to taste like chicken. And their big menu of salads includes vegan variations of House Italian, Olive Oil & Vinegar, Ranch, and Blue Cheese dressings. For dessert, you can order vegan Sweet Knots (cinnamon roll-like bites) or vegan and gluten-free brownies. We were excited to see the menu at this fine-dining restaurant. Dairy-free and gluten-free are clearly labeled with quite a few steak and seafood dishes to choose from. Their vegan selection is limited, but they have a separate vegetarian menu with one popular vegan dinner option. I love how they call this place “rustic-chic.” It does have a modern mountain feel, and a purely vegan menu to match. The cuisine is a big mix of earthy greens, internationally-inspired dishes, and comfort food twists. On the menu you can find popcorn “chicken,” curry, banh mi, Philly cheesesteakes, and fried “calamari” alongside boisterous green salads. This casual local burger joint has a list of their ingredients with allergen information on it. And from what we could tell, all of their buns (for burgers), breads, and chicken are dairy-free and egg-free. Their fries are also made without dairy, but their onion rings aren’t. So check if potential fryer cross-contamination is a concern for you. They also offer a vegan patty (their vegi-patty contains dairy). There’s no shortage of juice shops in San Diego, but Juice Crafters told us they are completely dairy-free. So you don’t have to worry about dairy yogurt or whey protein in the blender. Their menu includes a big range of pressed juices, hydration drinks, wellness shots, smoothies, and acai bowls. They even have herbal teas and CBD drinks. For a creamy finish, they use their own date-sweetened almond nut mylk. Beyond the locations listed here, they have more up north in La Jolla and throughout the L.A. area. Relax in this spiritual restaurant run by students of Sri Chinmoy. The menu is completely vegetarian with vegan and gluten-free options clearly labeled. It offers a light and varied assortment of appetizers, wraps, soups, salads, sandwiches, entrees, and even desserts. So you can unwind with the popular vegan neatloaf (as an entree or a sandwich) before indulging in a slice of vegan chocolate moussecake or apple pie. This eccentric bar serves exclusively vegan fare while cranking out death metal music. Their drink menu is unique and extensive, and the food includes a neat little array of snacks, sandwiches, and a few other entrees. 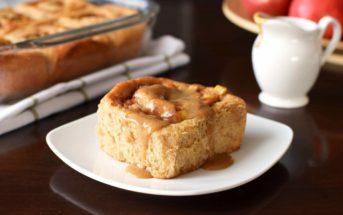 On the weekends you can enjoy their brunch, which includes indulgences like cinnamon rolls, French toast, and Benedict. 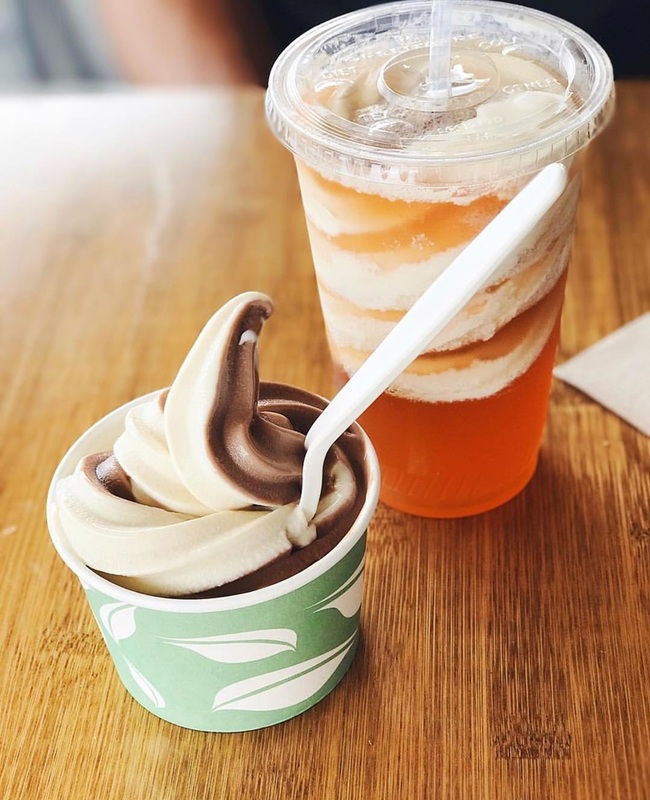 It isn’t house-made, but we still think it’s a real treat to order dairy-free scoops right next to the beach. Their vegan ice cream is Double Rainbow’s soy cream, and it’s available daily in Mint Chip and Cherry Chocolate Chip by Double Rainbow. You can enjoy it on a plain or sugar cone, or blended into a vegan milkshake. They also have house-made non-dairy sorbet daily, with flavors like Marionberry, Raspberry, Mango, and Blueberry Pomegranate. Luna Grill does include vegan icons on their menu, and there are a few options. But they also have a great allergen guide that reveals numerous milk-free menu items. 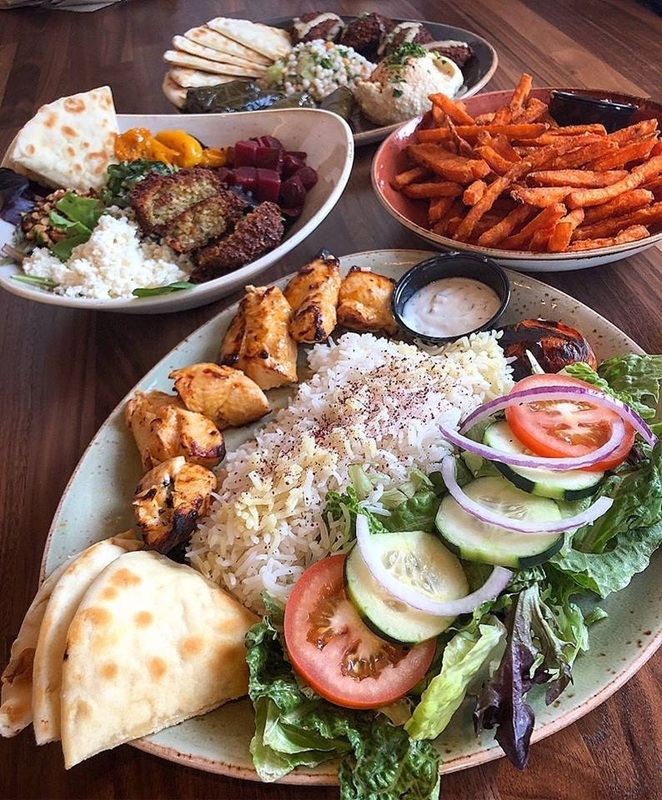 The desserts are off-limits, but there are many kabobs, salads, and small bites to choose from. This modern chocolate shop is completely vegan and dairy-free. Their chocolate bars are a bit of a splurge, but the Madagascar is worth it. 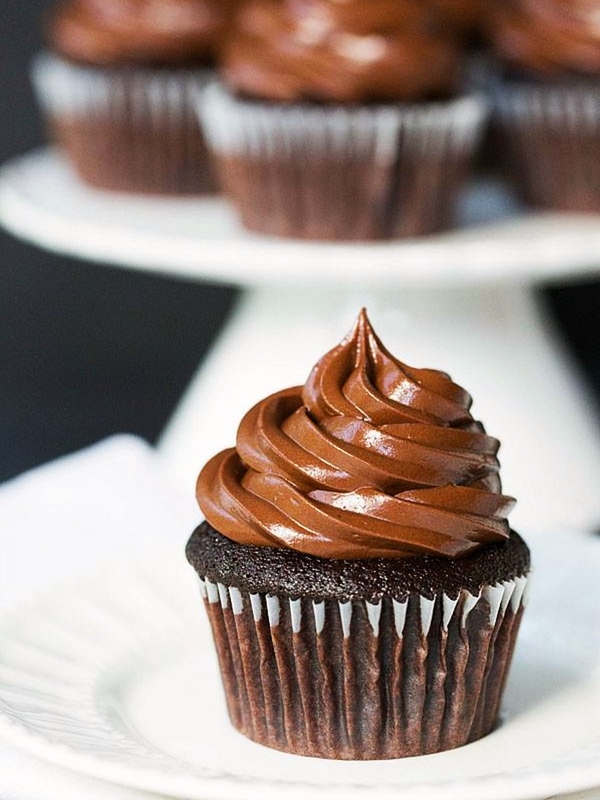 And depending on the day, you might find house-made frozen desserts and baked goods, like banana bread, brownies, and mini red velvet bunt cakes. They can also be found at several of the San Diego farmers’ markets. Gourmet donuts are baked up by the dozen at this popular sweet spot. And they make several vegan flavors daily. The selection changes weekly, but they usually make about a dozen vegan varieties. Proceeds from this wee little cafe benefit the NoWorriesMovement for animal protection and their animal sanctuary in Austin, Texas. So the menu is completely vegan, and it includes light bites, like toasts, paninis, salads, smoothies, and acai bowls. Raw chocolate and grain-free granola-like bites are the specialty at this wholesome, dairy-free, gluten-free shop. They do use eggs (baked) in some items, and honey is there primary sweetener, so these desserts aren’t recommended for strict vegans. Peace Pies is beyond vegan. They’re an “eco-raw” restaurant. The menu isn’t extensive, but it boasts ample greens and a broad range of “healthified” entrees. It also includes a delicious assortment of not-so-sinful dessert, like the Conscious Cheesecake and Alive Apple Pie. They have a second location north of San Diego in Encinitas. The pastas are a little difficult to work with, but most of their pizzas and paninis can be made dairy-free with Daiya dairy-free mozzarella. The pizza fries might be a fun option for vegans too! Barbecue seems to be pretty popular in San Diego, but we loved that Phil’s has a full allergy menu with lots of dairy-free options. In fact, most of their menu is dairy-free, nut-free, and peanut-free, including their burger and sandwich buns. It does look like they are able to cater to gluten-free diners, but there aren’t any substantial options for vegan diners. Most Vietnamese restaurants are predominantly dairy-free, but this is the one that we ate at and thoroughly enjoyed. It has a nice, clean atmosphere, and the food had excellent flavors. 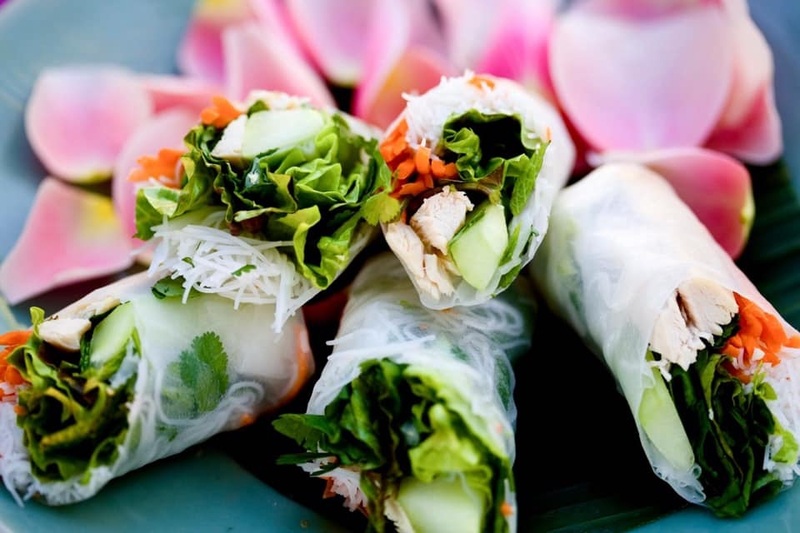 They also cater to vegan clientele with a full vegetarian menu of pho, banh mi, spring rolls, and more. As the name implies, this is a plant-based, completely vegan, quick-serve restaurant. They have just two locations – the one noted above in the Ocean Beach area, and a second one just north in Encinitas. 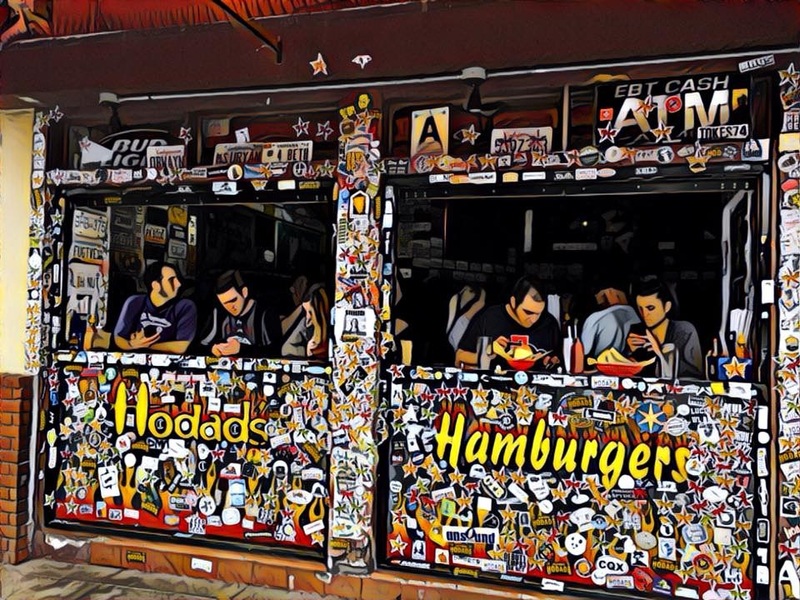 The menu has many great options for burgers, sandwiches, wraps, salads, small bites, drinks, and even desserts. The latter includes old fashioned “milkshakes,” “cheesecakes,” chocolate chip cookies, and soft serve “ice cream.” They also have a full breakfast menu with breakfast burritos, sandwiches, and “egg” muffins. This vegetarian Thai food restaurants is reportedly dairy free! They have egg as an option in some dishes, but they state that no other animal products are used in their food. And they include labels for gluten-free options (hint: there are many!). The menu is expansive, with vegetable-forward riffs on every Thai food favorite. They even have vegan desserts, like ice cream and a coconut creme brulee. Poke is more than popular in San Diego, and it’s typically a great dairy-free option. But not all poke places are created equal. This fresh, clean local chain is known for quality, and they confirmed that everything on the menu is dairy-free, with the exception of their macaron ice cream dessert. They also offer tofu for a vegan alternative. Their huge menu of beloved Mexican dishes includes vegan options for nearly everything. They even serve vegan breakfast with options like a vegan breakfast burrito with tofu scramble and house made tempeh sausage. Dairy-free diners will also like the option for Daiya dairy-free cheese alternative and the fact that they serve dairy-free milk beverages. You can find dairy-free friendly chains like Blaze Pizza and MOD Pizza in San Diego. But this local spot has a very full vegan menu. It includes starters like vegan cheesy garlic bread (made with Daiya cheese alternative) and numerous vegan pizza options with various crusts (including gluten-free) and plant-based meats to choose from. They also have a unique beverage menu with craft beers, craft sodas, and a selection of tea. This upscale eatery is located at the Grand Hyatt on the waterfront, and they go above and beyond for special diets. The menu includes labels for dairy-free, gluten-free (they actually label “celiac-safe!”), vegetarian, and contains shellfish. The dairy-free options include some small plates, happy hour options, sushi and sashimi dishes. 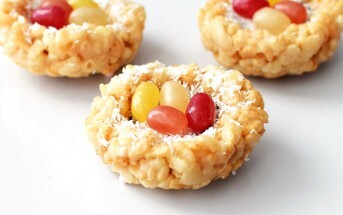 But they’ve also told us that can easily make most of their dishes dairy-free upon request. They serve a very full and varied menu of surf and turf dishes. Indian food can be a landmine for dairy-free diners, but this all-vegetarian restaurants has many vegan options that they are happy to help you with. The atmosphere is very casual, the location isn’t fancy, and the prices are modest. But the food receives raves from many repeat customers. 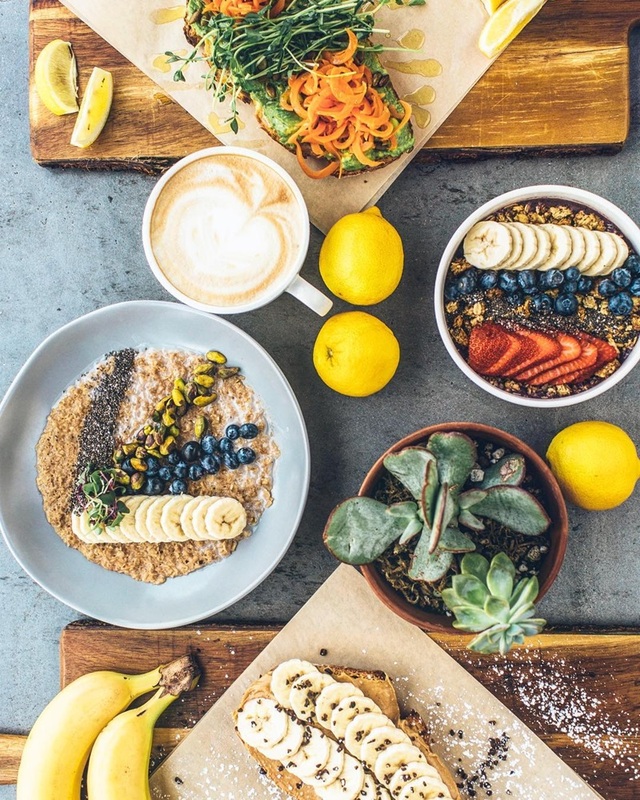 This health-conscious modern eatery serves a lot of vegan and vegetarian options alongside organic eggs, organic chicken, grass-fed beef, and sustainably-sourced salmon. Vegan and gluten-free options are clearly labeled on the menu, and there are many more options for dairy-free diners upon request. They even have non-dairy cheese available. This airy vegetarian cafe appears to be all vegan and gluten-free, but check with the staff before ordering. They serve fresh California cuisine with house made dairy-free cremas and a nut-free cheeze sauce. It’s also a great spot for coffee, tea, or kombucha, and they offer several beverages featuring turmeric. Their unique desserts are not to be missed, including mango mousse, spicy cacao brownies, and cashew cheesecake. While in the area, you can check out their vegan, gluten-free neighbor, Barefoot Bakery and Market. It didn’t quite make our top list, but is worth visiting. This bakery is free of gluten, dairy, soy, eggs, tree nuts, peanuts, fish, shellfish, and all artificial food dyes. And their goodies are vegan to boot! They’re open midday into the evening with a big line-up of cookies, cinnamon rolls, cupcakes, scones, and more. They also take special orders and design custom cakes. You’ll find more than good coffee at this modest cafe. They also have a full breakfast, sandwich, and salad menu with vegan and gluten-free options. They also serve egg dishes that are steamed without oils or milk! So you can find dairy-free dishes aplenty. 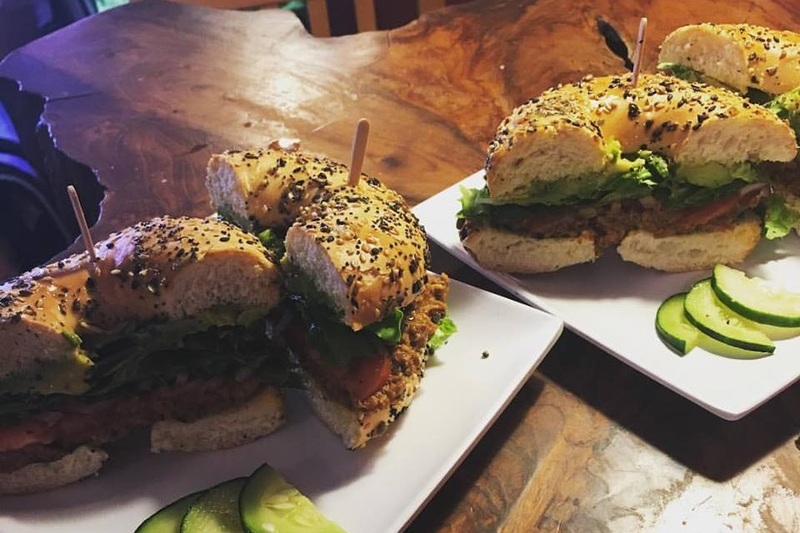 Just some of the vegan options include the vegan bagel with red pepper hummus, vegan gluten-free sriracha tacos, and the Mrs. Vegan salad. 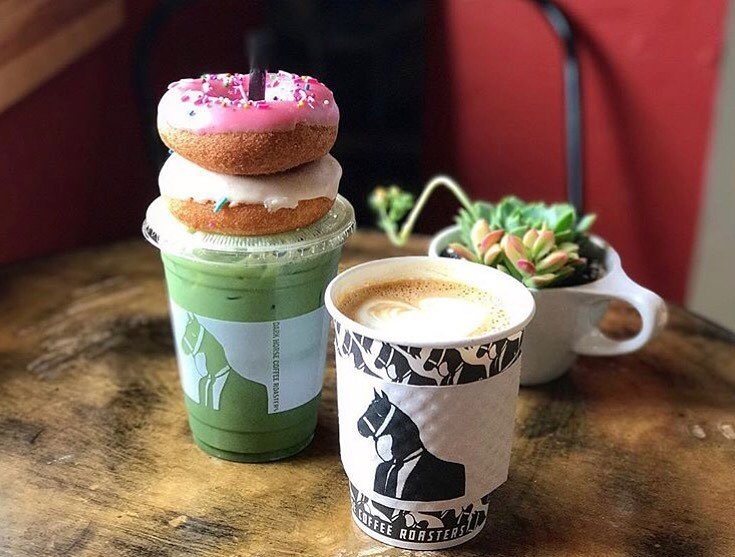 They also offer several dairy-free milk beverages (we’ve heard rice milk, soy milk, coconut milk, and oat milk) for their coffee drinks and blending smoothies. Most sushi spots have dairy-free options, but often the creativity is limited. Many of the “fancy” rolls contain cream cheese, and they don’t have many creative fillings. But Sushi 2 has a full vegan sushi menu on top of their regular menu, which boasts creative sauces, vegetables, toppings, and even tempura. And they serve quite a bit more beyond sushi – from ramen to chicken wings! This is another Southern California mini-chain, but unlike many others, they focus on Mexican cuisine. Their menu has a fresh spin with healthier eats, and many dairy-free and vegan options. They even serve two types of vegan cheese, vegan creme, and vegan proteins. You will need to inquire on other “just” dairy-free options as dairy-free isn’t clearly marked on their menu. But gluten-free items are labeled. They also have a location in La Jolla and several in the L.A. area. Despite the name, this isn’t a 100% vegan restaurant, but it’s pretty darn close. The menu has all the same dishes as most other Thai restaurants, but with more vegetables, tofu, and mock meats, which are well-loved by vegans and omnivores alike. It also helps to take the guess work out for dairy-free diners – yes, Thai cuisine can harbor dairy! If you’re downtown or near Balboa Park, then this is a great healthy lunch option. It’s a build-your-own-bowl type of place and they told us that everything on the menu is dairy-free, except the Chipotle Dressing and the cheese (obviously!). All of the dressings, besides the chipotle, are also vegan, and they have many gluten-free options. The base choices are quinoa, pasta, black beans, and spring mix, and the proteins are tofu (vegan), chicken, and salmon, so there is something for everyone. Located inside the WorldBeat Cultural Center in Balboa Park, this vegetarian restaurant serves an intriguing mix of African, Caribbean, and American cuisine. The sips are as eclectic as the eats, with moringa smoothies, Jamaican ginger beer, cane soda, and even kombucha on tap. Most of the menu is vegan, and they do have vegan desserts, like ice cream and sometimes cupcakes. These wonderful national (and international!) 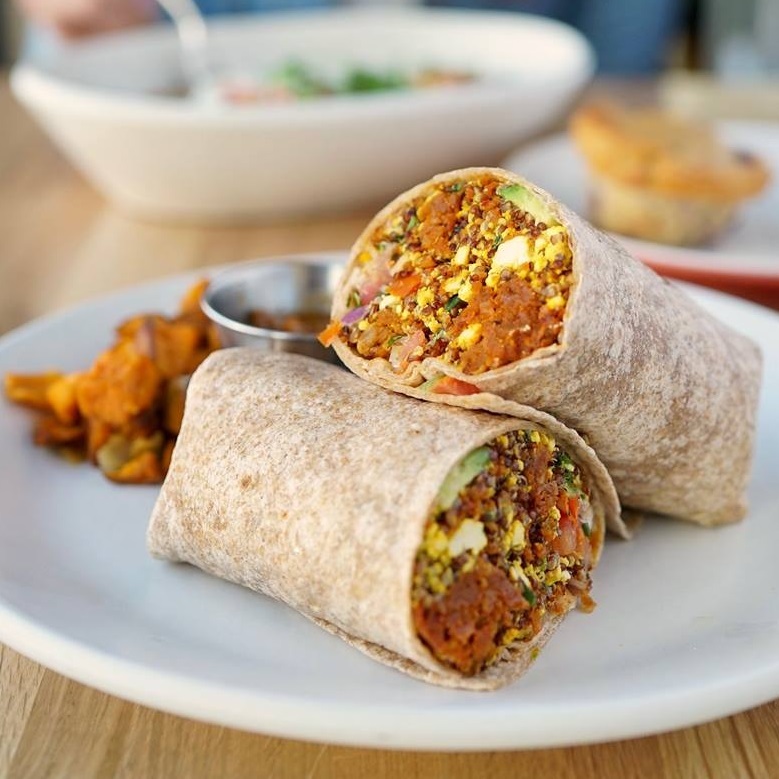 chains serve delicious dairy-free and vegan options and have outposts in San Diego. You can click on the link for each one to learn more. 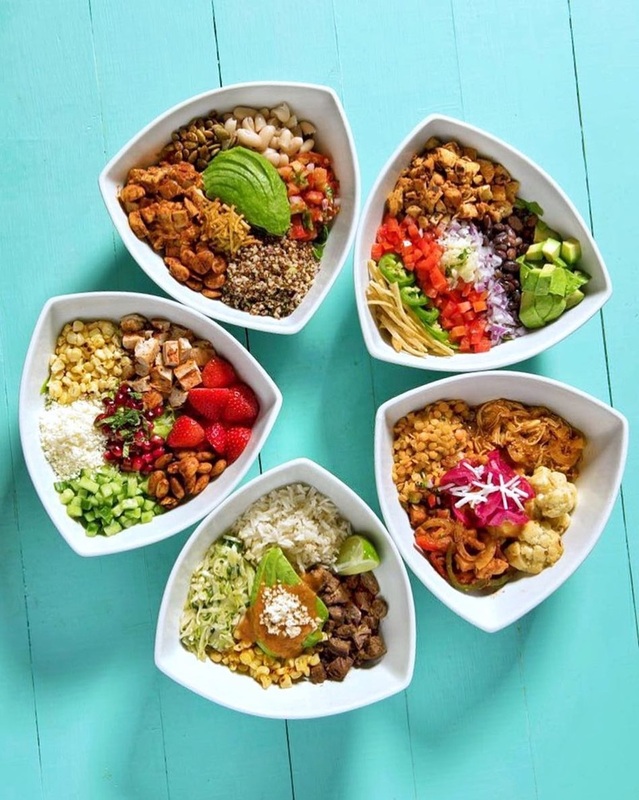 These rapidly expanding fast-casual restaurant chains serve plant-based food exclusively. Most of these options are fast casual, but I’ve used an * to mark any restaurants with table service. 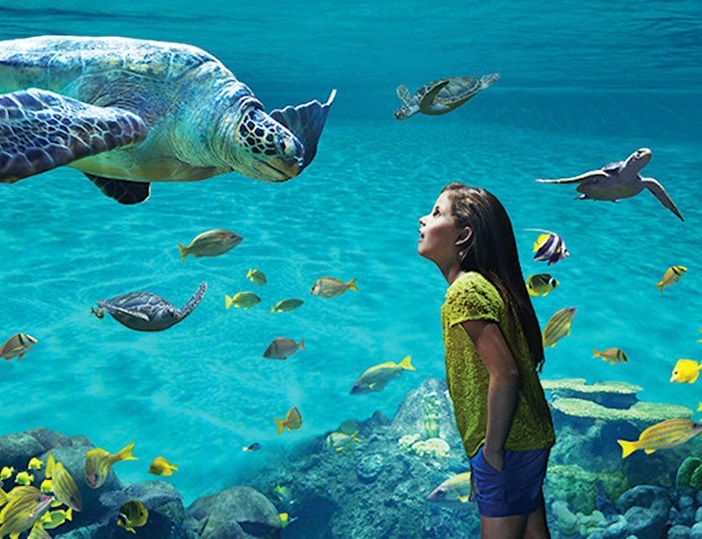 SeaWorld California has worked with FARE to create an allergy-friendly park. They do not allow you to carry outside food throughout the park, but do allow you to leave it in your car and re-enter the park as needed. When you head to any of their in-park restaurants, ask the cashier for a supervisor. The manager or supervisor at each restaurant should be trained in food allergy management, and can help guide your order. We’ve heard from many park attendees that they do a great job. Their chefs are trained to prevent cross contact when cooking meals for allergic diners, so be sure to let the supervisor know if this is needed. As for snacks, they have a coffee shop serving Starbucks on-site that offers almond milk, fresh fruit, and a few pre-packaged options. I’ve also heard reports of some delicious vegan cookies (be on the hunt!) and dairy-free slushies at SeaWorld San Diego. 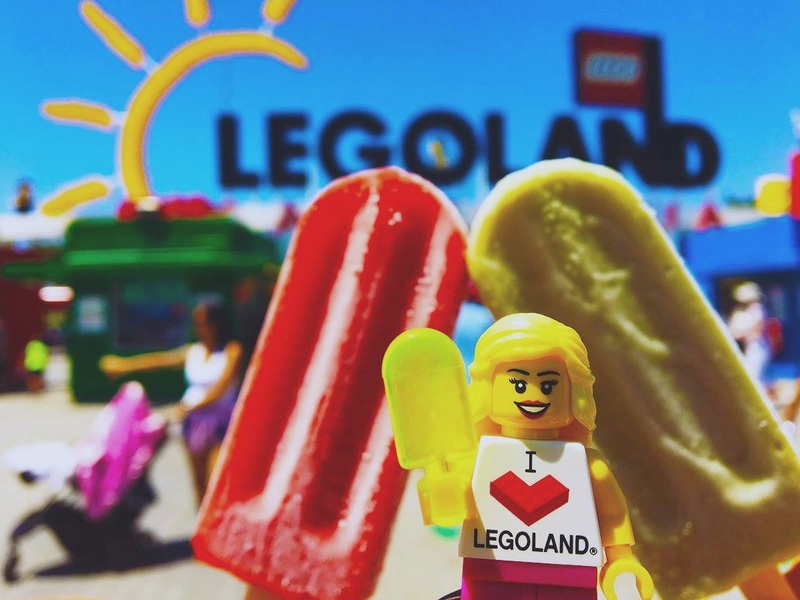 LegoLand California is in Carlsbad, which is 30 to 45 minutes north of San Diego. But it’s an easy trip you might make while visiting the area. Outside food is not permitted in LegoLand, but they do claim to allow food for those with dietary restrictions. I’ve heard mixed reports from visitors, so call ahead if you do plan to bring any snacks with you. They do search bags when entering. Fortunately, they do have a Dietary Guide that clearly states what options are available at each in-park restaurant for dairy-free, egg-free, gluten-free, nut-free, vegetarian, and vegan. For snacks, the coffee kiosk near the front is a must visit. 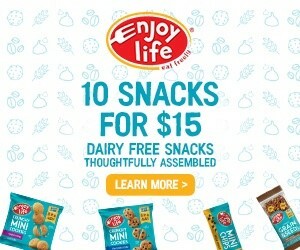 They sell several vegan snacks, including dairy-free yogurt. But you can also find dairy-free snacks and treats (like slushies, juice boxes, dairy-free milks, fresh fruit, and fruit pops) at some of the other in-park vendors. This bustling town has many more outdoor pursuits to offer, beyond SeaWorld and LegoLand! The USS Midway is a museum that even kids enjoy because it’s an aircraft carrier right on the water! The giant ship houses an extensive aircraft collection and military docents are available to be your guide. The cafe on board has a couple dairy-free options, but it wouldn’t hurt to pack along some snacks. And if there is room in their parking lot, take it – it’s a fair price. If not, head to the G street block to see if any 9-hour meter parking is open (most downtown meters are only 2 hours). You will want several hours to tour! There are also several boat tours offered next to the Midway, from sailing to dinner cruises. We took a relaxing and modest 2-hour tour on Flagship Cruises, which was rich in sites and information. It wasn’t fancy, but for the price (we found it on Groupon) it was a worthwhile value. The daytime cruises have a modest selection of snacks, but they let you bring your own munchies on board. 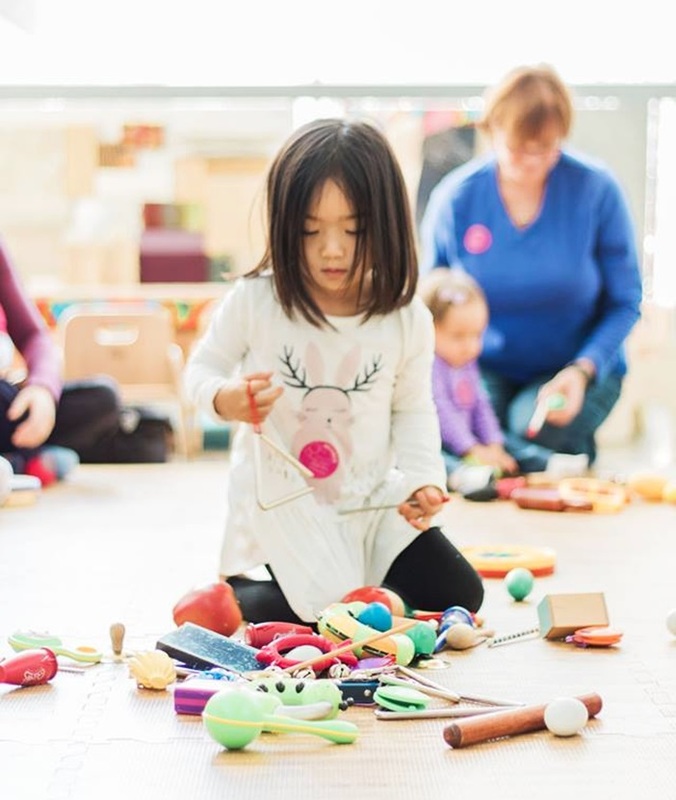 The New Children’s Museum is also worth a visit if you have young kids – around the ages of 3 to 7 years old is ideal. The museum has a big focus on art with immersive art studios and interactive art installations. But we also love that they have a Bean Sprouts Cafe inside. 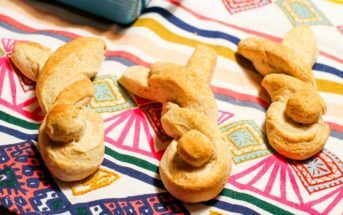 This cafe caters to tots with fun food, and they have a full allergen guide with several dairy-free options! Balboa Park is a beautiful urban park that is free to roam, and even has ample free parking. It houses the popular San Diego Zoo, but within those 1400 acres you’ll also find 17 museums, beautiful gardens, kid’s playgrounds, and hiking trails. 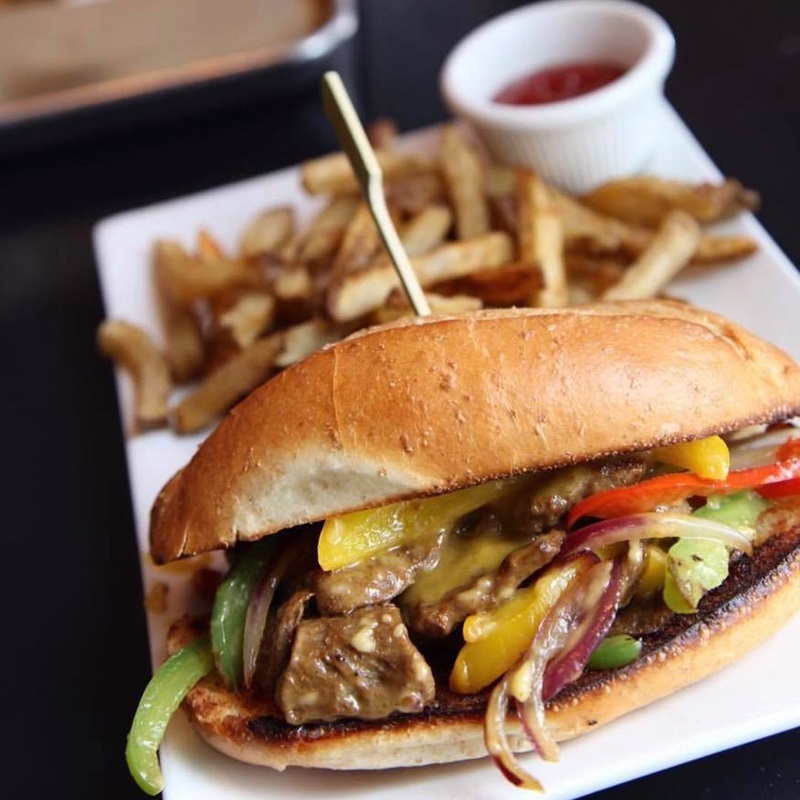 The park itself doesn’t have abundant dairy-free restaurant options, but just outside the park you can enjoy vegan-friendly restaurants in the North Park and Cambridge Square neighborhoods. I also recommend hitting up Cabrillo National Monument. 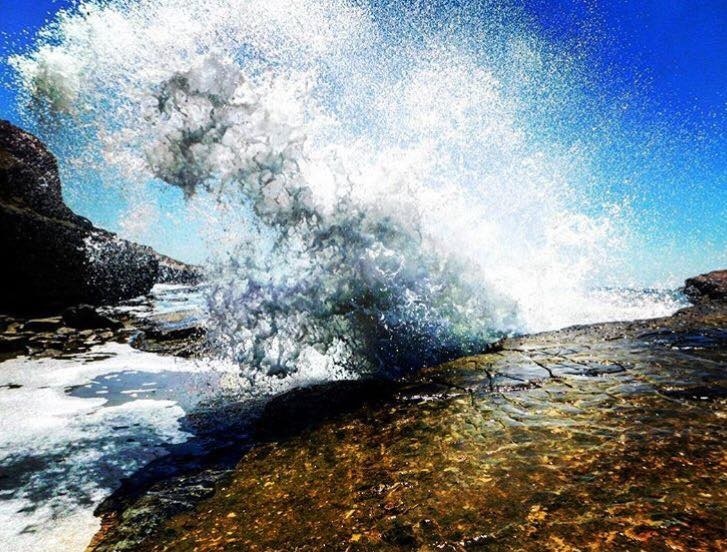 It’s a wide-open park with a great visitor’s center, pleasant paved walks, some trails, a lighthouse that you can actually tour, tidepools rich in marine life, and the prettiest views of San Diego. There aren’t dining options inside the park, so pack along some dairy-free food just in case you get hungry. San Diego has other great trails at the oceanfront Torrey Pines State Natural Reserve and at the expansive Mission Trails Regional Park. For more casual pursuits, head to the Beach. But get their early if you want to find parking or an open volleyball net! 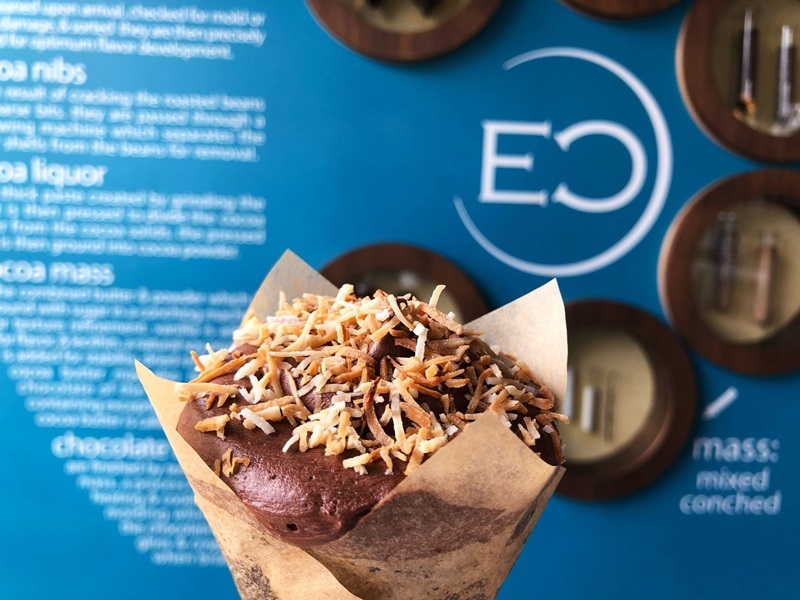 Bringing a cooler or snacks is always a good idea, but you can find several dairy-free friendly eateries on our list near Pacific Beach and Ocean Beach. On the first Friday of every month, Anthem Vegan hosts the First Friday Night Market, which is completely dairy-free and vegan-friendly. It’s in the evening, and a free event, but you won’t be able to resist buying eats, drinks, and other goods from the vendors. San Diego also has a bustling Food Truck scene. 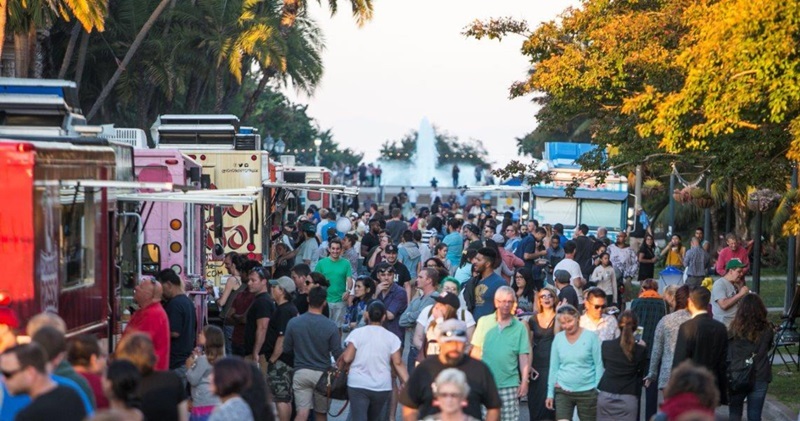 You can usually find at least a few dairy-free and vegan offerings at each gathering, but the Balboa Park Food Truck Fridays event actually provides a list for Vegan, Vegetarian, and Gluten-Free Options. Jimbo’s…Naturally (several locations, click link at left for map) – This is an expensive, but very nice place to shop, and a great option if you are downtown. Sprouts (several locations, click link at left for map) – This is a big natural food store chain in the Southwest and our favorite for both price and selection. Lazy Acres (Hillcrest – 422 W Washington St, San Diego, CA 92103) – Expect very high prices but lots of dairy-free products. Mission Square Market (Allied Gardens – 6171 Mission Gorge Road #111-112, San Diego, CA 92120) – More of a corner store, but they offer a vegan deli and quite a few vegan convenience foods. Ocean Beach People’s Organic Food Market (Ocean Beach – 4765 Voltaire St, San Diego, CA 92107) – This coop packs a lot into a modest space, and offers plenty of vegan foods. Stehly Farms Market (Normal Heights – 4142 Adams Ave #101, San Diego, CA 9211 and Morena near Old Town – 1231 Morena Blvd, San Diego, CA 92110) – This is a farmers market extension with a good selection of dairy-free and organic foods. Barons Market (Midway District near SeaWorld – 4001 W Point Loma Blvd, San Diego, CA 92110 and North Park – 3231 University Ave, San Diego, CA 92104) – They have a big selection of specialty foods, including gluten-free and dairy-free. Dairy-Free Tip: If you aren’t vegan or vegetarian, you might look for the Boar’s Head signs prominently displayed at many grocers and in front of several delis in San Diego. Most Boar’s Heads deli meats are milk-free. If you can afford the US Grant Hotel (pictured below) in downtown, it might be worth the experience. It’s located right downtown next to the Gaslamp Quarter. If not, I recommend walking by (the exterior is spectacular) and heading into the lobby for a peak at the grandeur and history (like we did!). 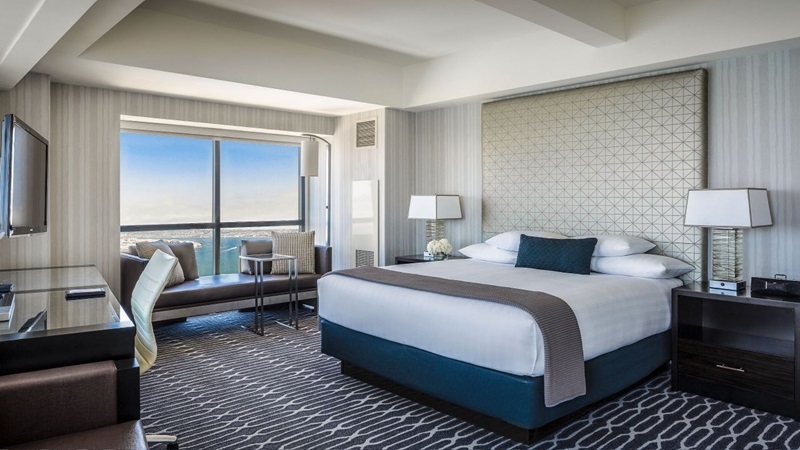 A notch down in price, the Manchester Grand Hyatt San Diego has a prime downtown location in the Marina, and beautiful amenities. They can provide you with a refrigerator and microwave for a small fee, and Sally’s Fish House & Bar (from our list above) is on-site. For budget travel, the Kings Inn has clean, relatively modern, fairly spacious rooms, a nice pool area (great for kids), and is centrally located on Hotel Circle. There isn’t much within walking distance, but it is very convenient by car to Mission Valley, Hillcrest (and downtown), and the highways. They do not have kitchenettes, but each room has a refrigerator and you can request a microwave for a small fee. Inn at the Park is a good option for special diets since all rooms have a kitchenette and it’s right next to Balboa Park. So it’s walking distance to many sites and dairy-free friendly restaurants in the Cambridge Square, Hillcrest, and Penn Station neighborhoods. Crystal Pier Hotel & Cottages have to be booked well in advance, but are a great option if you want to be right on the beach. Plus they have fully equipped kitchens or kitchenettes and the cottages have deck dining areas. And they are located near many great Pacific Beach restaurants and SeaWorld. If booked, Catamaran Resort Hotel is very close by, and has great amenities. The San Diego Airport has 2 terminals and they are directly connected so you can walk easily between then. Alaska, Frontier, and Southwest fly in and out of Terminal 1, while the remaining airlines call Terminal 2 home. You can buy some vegan packaged snacks at Ciao Gourmet Market, grab a bagel at Einstein Bros, or enjoy a coffee with dairy-free milk beverage at Peet’s Tea & Coffee. The Counter Burger is a good fast food option, but you will need to inquire on the best dairy-free options. They’ve removed their allergen chart from online. 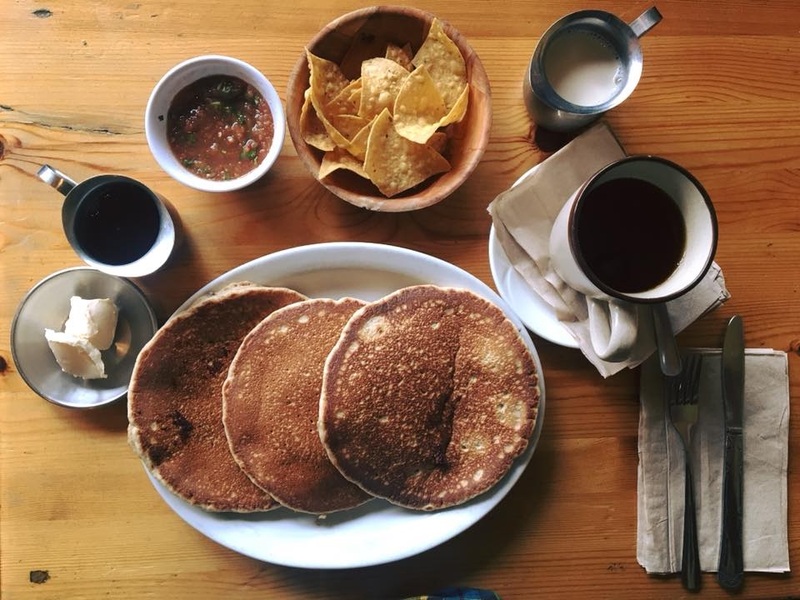 If it’s still morning and you want to relax, Pacifica Breeze Cafe is a sit-down restaurant with a couple dairy-free options for breakfast. This wing offers more restaurants and a great view of the planes in the “Sunset Cove” eating area. 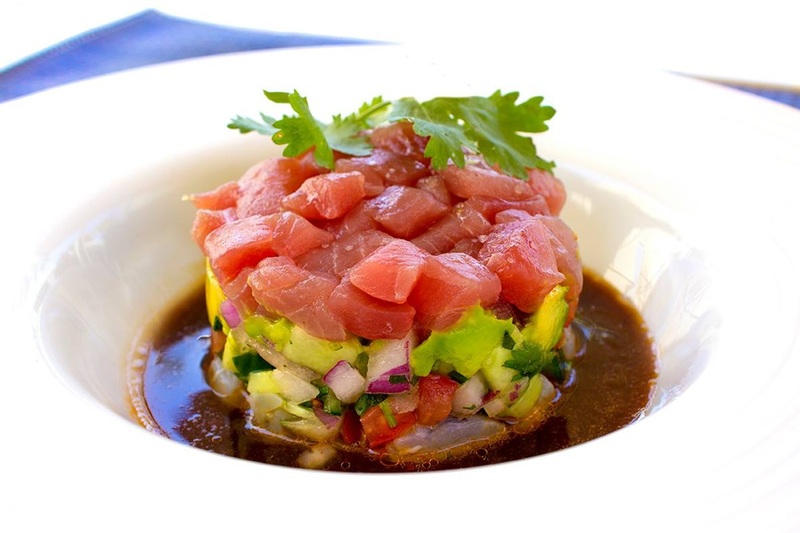 We’ve tried Bubbles Seafood and Wine Bar, which is more of a sit-down bar, but their ceviche is fantastic and the location is ideal. 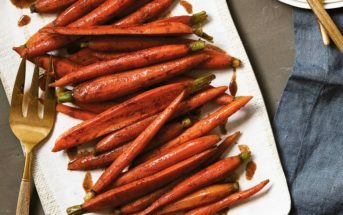 They also have a few other dairy-free appetizers for sharing. If you have kids with you, you can still order from the bar, but sit at a table outside of their roped in space. Saffron Thai (spring rolls pictured below) is a counter-serve spot, but there is plenty of seating in Sunset Cove. The food is quite tasty, mostly dairy-free, and they have the best deal on bottled beer in the airport. Phil’s BBQ at the end of the terminal has a pretty big menu (and an allergen chart) with a counter-serve set-up. Qdoba is another great fast option, but the guacamole is extra. And Camden Food Co. can make a dairy-free or vegan sandwich. You can also find Peet’s Tea & Coffee and Einstein Bros in this wing. Plus Pannikin is a coffee shop that offers soymilk. What Are Your Favorite Dairy-Free Finds in San Diego? Comment with your favorite San Diego spots for dairy-free food or drinks. Let us know the neighborhood and any details you’re willing to share. Supporting dairy-free and vegan options at restaurants helps to ensure they stay open and that more emerge! Also, please let us know if any of the above restaurants or shops close. We’ll lament the loss, but want to keep this post current for all of you. Like What You Read? Then You Might Love My Book, Go Dairy Free! *This post is for informational purposes only. Menu items are subject to change, and not every restaurant may be safe for your dietary needs. Restaurants are always at risk for potential cross-contamination. If you have allergen cross-contamination concerns, call ahead and/or ask to speak with a manager when you arrive. If in doubt, go to another restaurant. Such an amazing source of information! I want to take a trip to San Diego one day and this will help immensely. What an amazing post! You’ve left nothing out. Thanks for putting something so important together and being so thorough! Thank you, I tried ot fit it all in! Wow! SO many great options here! 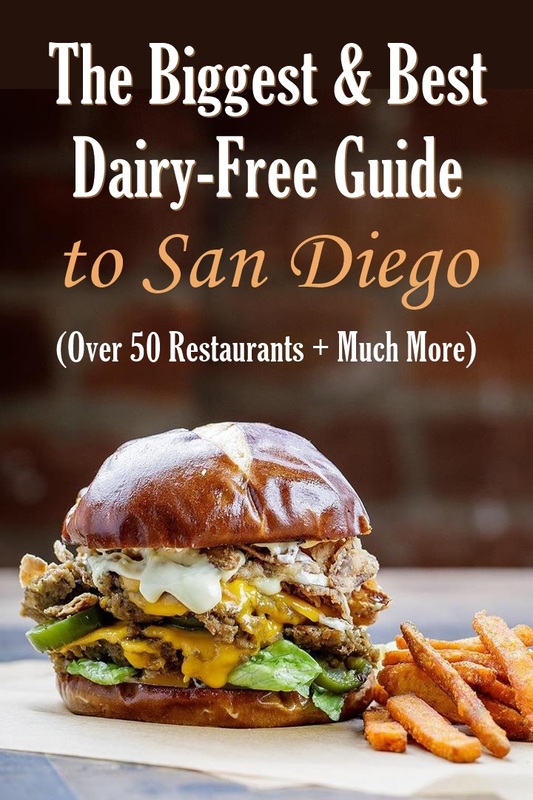 This is such a great resource for anyone traveling and it really does seem like San Diego is a great place to visit with a dairy-free diet. So funny I was actually suppose to be in San Diego today with my husband but decided last minute to stay home. Such a helpful guide, I always look for these before traveling to find the best places and allergen friendly eats. I also have an ongoing list which I’ll be adding some of these to. San Diego is def on my bucket list! I’m so glad to hear about all the awesome options. I’m especially interested in Anthem Vegan, yum!! That is such a cool restaurant and so awesome how they hold monthly events too. This is PERFECT I will be visiting a dear friend in San Diego in the coming months 🙂 Pinning for later! That’s fantastic – and what a fun reason to make a trip! 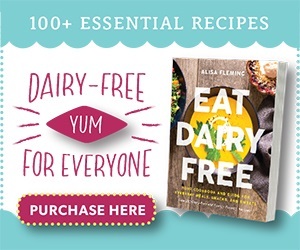 This is such a valuable resource for those living a dairy-free lifestyle! San Diego has so many wonderful dining options!